The Bhagavad Gita offers a precise teaching about living a full life. Imbued with devotion and inspiration, the Gita presents some of the most important truths of human existence in a clear and beautifully poetical way. 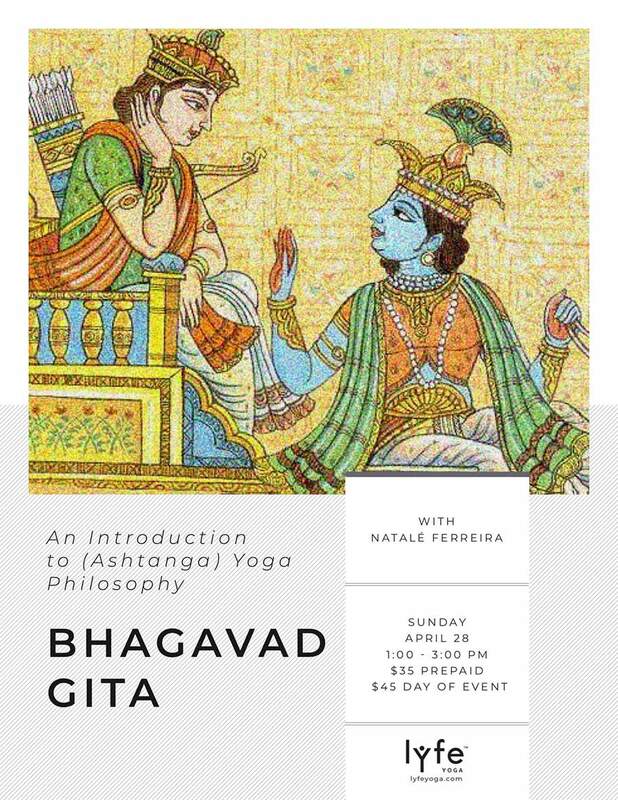 In this Intro to (Ashtanga) Yoga Philosophy Natalé will introduce the key concepts of the Bhagavad Gita and explore the practical ways to apply discipline, duty, devotion, action and self-control on your yoga journey. 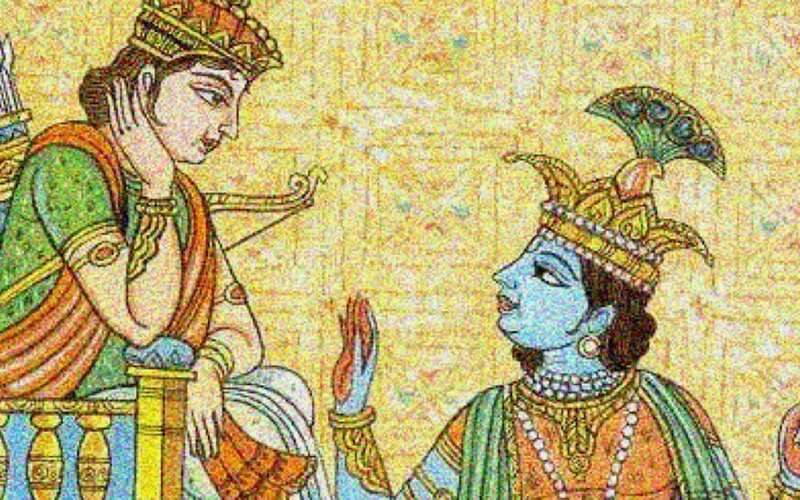 Join us to see why the Bhagavad Gita is often regarded as the first dedicated yoga scripture and one of the most beloved books on Indian Spiritual Thought. I am by no means an academic and certainly do not consider myself an expert, merely a devoted practitioner who has great fondness and admiration for the Gita. This two hour class is aimed at beginners to discuss the basic tenets of this text. Indepth study of the Bhagavad Gita would (and should) take months and years! In fact, for a deeper exploration look out for Chase Bossart who returns to Ashtanga Yoga Long Beach in September 2019 for a two day course on the Bhagavad Gita. Dr Chris Chapple also offers an online Bhagavad Gita course at LMU.